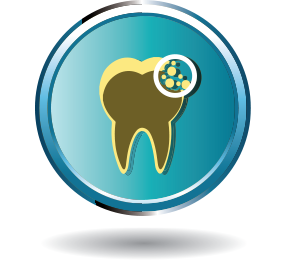 Unlike some dental practices, Insight Dental understand that some dental issues are unplanned. That’s why we cater for all types of dental emergencies and make ourselves available as and when you need. Whether you have a bad toothache, have knocked out a tooth or have another type of dental emergency, we don’t want you to have to suffer with undue pain or discomfort just waiting for an appointment time to become available. If you have a dental emergency, contact us and we’ll see what we can do to see you in our surgery as soon as possible. We also offer out-of-hours appointments when required. Are you currently in Caulfield or greater Melbourne and looking for an emergency dentist? Our emergency dentist at Insight Dental South Caulfield is on call 24hr/day to take care of your emergency. Conveniently located in South Caulfield, our emergency dentist services see emergency patients from all around Melbourne. If your dental emergency is a knocked-out tooth, rinse it slightly under clean water (only if the tooth is dirty) and store in milk until you see our emergency dentist in South Caulfield from wherever you may be located in Melbourne. To help ensure that your emergency dentist appointment has the highest chance of success, make sure only to handle the tooth by the crown (white part). Once you see our emergency dentist, you will receive immediate assessment and examination of your dental emergency with a diagnosis and options explained clearly by our emergency dentist. Our emergency dentist will then provide prompt treatment, with the utmost care and compassion that our gentle emergency dentist is known for. Don’t suffer the pain any longer! Don’t wait until the morning to see a dentist and have a sleepless night! Come see our emergency dentist who will take care of you now.